The Chen-style Taiji Sword belongs to one of the short weapons in Chen-style Taiji series. The series is of the characteristics of reasonable arrangement, close linkage and clear-cut sword techniques. 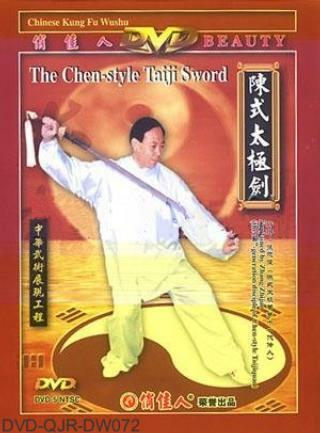 The Chen-style Taiji Sword with techniques of thrust, hack, upper cut, parry, point, slice, push, dispel and so on, combined with extensive bodyworks and agile-moderate footworks, comes in changing forms of valor or gentleness, hiding or appearing, close following, prancing and somersaulting. These really show that Chen-style Taiji Sword is characterized by using the body to play the sword, stretching continuously with alternate quickness and slowness. In this program, Master Zhang will demonstrate the routine with explaination of the movement essentials in details. You have a chance to appreciate the outstanding skills and to learn the know-how from this great free-combat master.